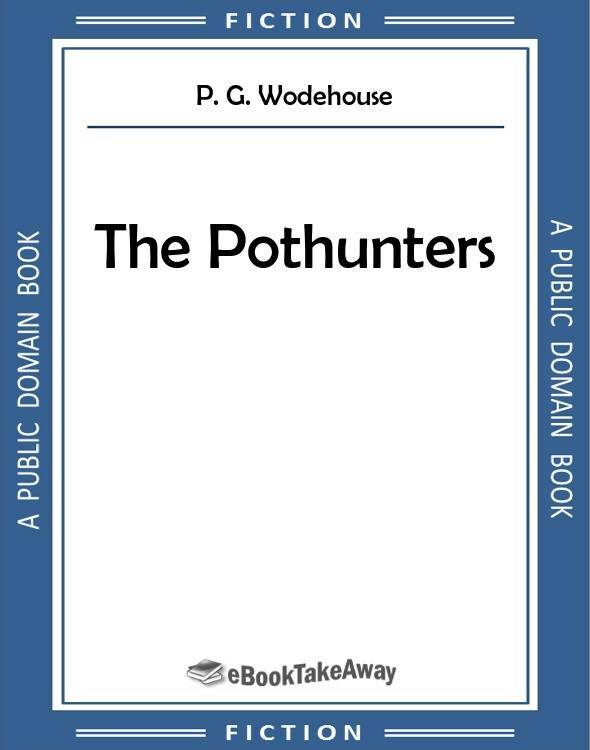 The Pothunters was Wodehouse' first published novel and is set at the fictional public school of 'St Austins'. The school's trophies have been stolen and while the masters and police try and recover the boys get on with public school life. 'Where have I seen that face before?' said a voice. Tony Graham looked up from his bag. It was at Aldershot-to be more exact, in the dressing-room of the Queen's Avenue Gymnasium at Aldershot-that the conversation took place. From east and west, and north and south, from Dan even unto Beersheba, the representatives of the public schools had assembled to box, fence, and perform gymnastic prodigies for fame and silver medals. The room was full of all sorts and sizes of them, heavy-weights looking ponderous and muscular, feather-weights diminutive but wiry, light-weights, middle-weights, fencers, and gymnasts in scores, some wearing the unmistakable air of the veteran, for whom Aldershot has no mysteries, others nervous, and wishing themselves back again at school. Tony Graham had chosen a corner near the door. This was his first appearance at Aldershot. St Austin's was his School, and he was by far the best middle-weight there. But his doubts as to his ability to hold his own against all-comers were extreme, nor were they lessened by the knowledge that his cousin, Allen Thomson, was to be one of his opponents. Indeed, if he had not been a man of mettle, he might well have thought that with Allen's advent his chances were at an end. Allen was at Rugby. He was the son of a baronet who owned many acres in Wiltshire, and held fixed opinions on the subject of the whole duty of man, who, he held, should be before anything else a sportsman. Both the Thomsons-Allen's brother Jim was at St Austin's in the same House as Tony-were good at most forms of sport. Jim, however, had never taken to the art of boxing very kindly, but, by way of compensation, Allen had skill enough for two. He was a splendid boxer, quick, neat, scientific. He had been up to Aldershot three times, once as a feather-weight and twice as a light-weight, and each time he had returned with the silver medal. As for Tony, he was more a fighter than a sparrer. When he paid a visit to his uncle's house he boxed with Allen daily, and invariably got the worst of it. Allen was too quick for him. But he was clever with his hands. His supply of pluck was inexhaustible, and physically he was as hard as nails. 'Is your ankle all right again, now?' he asked.